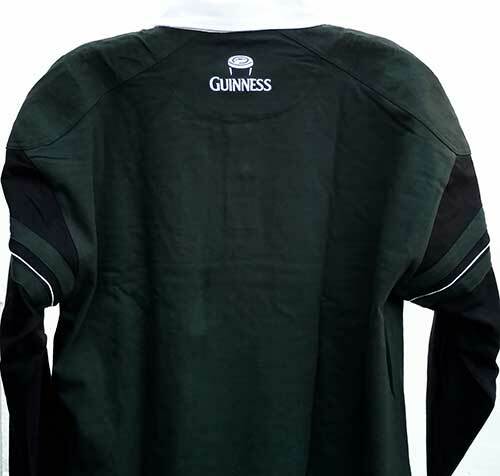 This long sleeve Irish rugby shirt is available from The Irish Gift House in limited sizes. 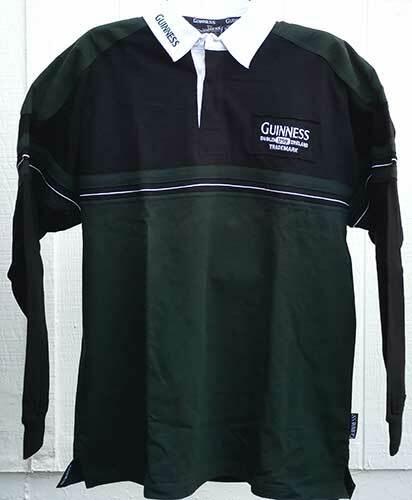 This green and black Guinness rugby jersey is a traditional design with concealed rubber safety buttons and padded shoulders. 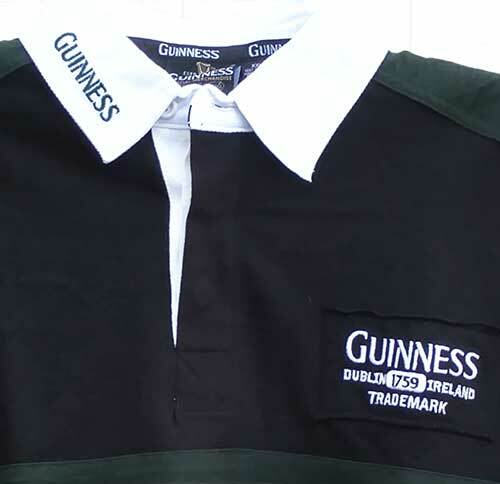 The 100% cotton Guinness rugby shirt is a long sleeve jersey that features embroidered branding that includes a pint along with the trademark design.